THEY say you must wear your scars with pride. And this is exactly what Nelson Mandela’s grand-daughter, Zoleka, has done – in the toughest battle she has ever fought. Tonight the nation will watch her on pay channel M-Net’s Carte Blanche, putting a brave face on her breast cancer diagnosis, which came just over a year after her daughter Zenani’s death in 2010. 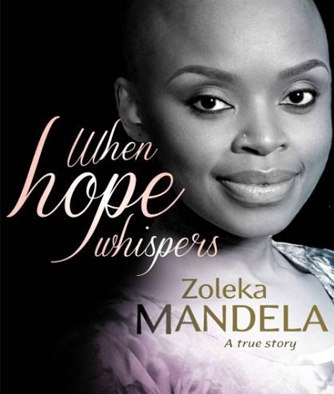 Sunday Sun can also reveal that the tale of her struggle with the disease has also been covered in an upcoming documentary and a book. This week on social media she told her fans to help her spread the word as she works to raise awareness about breast cancer. Zoleka has never hidden details of her disease to her friends on Facebook. 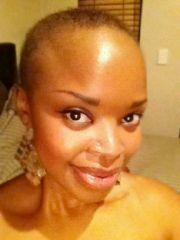 Her page bares her soul in its daily struggle with cancer. Last month she told her friends that she’d had her last chemotherapy treatment which was the 16th one in six months. She wrote: I have one month off, then one last surgery before the countdown to my party in July to celebrate that I’m finally done with chemotherapy. That celebration will be the beginning of the next chapter of my life. In 2011, tragedy hit Zoleka when she lost her premature son Zenawe. The baby’s father was Sekoati Tsubani, who played Kabelo on the SABC2 soapie 7de Laan. Zoleka also announced last year that she had found a new man in her life – but he’s known only as Thierry.